The Speed and Strength Speed Society collection is a throwback style that draws on the look of vintage racing gear. Back in the day, when racing gear was still in its infancy, people wore everything or anything they had in their closet. Words like Kevlar, titanium and fiberglass weren’t in the gear mix. Way back when, everyone wore basic biker leathers and leather work boots, because that’s what they had. Full-face motorcycle helmets weren’t introduced until 1963 (by Bell Helmets), so you only had one choice in that area. Now, we have more choices, but not everyone wants to wear a full-face helmet. The Speed and Strength SS650 Speed Society Helmet is a good option for that quick ride to dinner or cruising the city streets, when you’re not racing around the track or up and down the mountain. 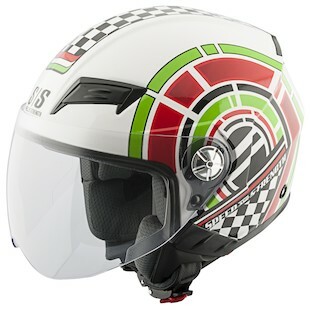 Features include a removable, moisture-wicking liner, and an optically correct, anti-scratch, UV-resistant faceshield. The Speed and Strength Speed Society Jacket is a nice, sleek retro-inspired jacket for women with simple accents and a clean line. The design is subtle, yet still stands out in a crowd. Snaps at the waist and forearms make it easy to adjust the fit to your body. Stretchy side panels are there to hug your curves for an ultra-flattering look. But this jacket is not just about looks. 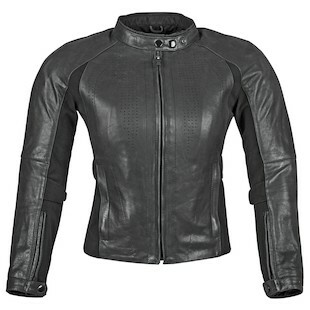 It also protects you with 1.0-1.2mm premium cowhide construction, and C.E.-approved shoulder, elbow and back armor. Now you just need a pair of boots to go with your jacket. The Speed and Strength Speed Society Boots for women are a perfect match. They have a moderate, three-quarters height, reinforced ankle and toe inserts, and a convenient side zip. 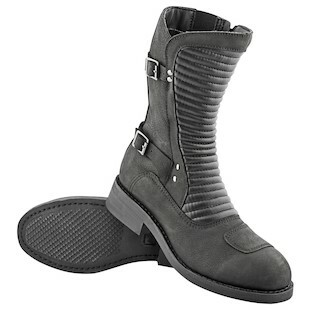 Side buckles and an accordion-style panel in front complete the retro look and feel, with a non-slip sole for added traction. Humans group together in all sorts of ways. When looking to gear up for your time on two-wheels this summer, be sure and consider joining Speed and Strength's Speed Society.